Houston PetTalk Magazine just announced it’s sponsoring Dr. Sophia Yin’s one-day seminar in Houston, Canine Fear and Aggression Solutions. The Houston PetTalk Rescue Volunteer discount will open the door to volunteers from 501c 3 shelters and rescue organizations who might not otherwise be able to come to the event. The discount is $40 off the regular seminar fee for the first 20 people who register. The Dr. Sophia Yin Seminar is specifically designed for rescue volunteers, veterinary professionals, and trainers. Rescue volunteers are on the front lines of behavior care, rehabilitating dogs in their own homes to increase their chances of adoption. Who better to attend this important seminar than the people doing the good work of helping dogs find homes day-in and day-out? 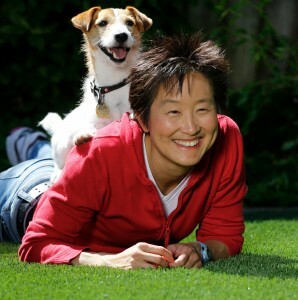 Dr. Yin is a veterinary behaviorist, author and inventor of the Manners Minder Remote Reward Dog Training System. She is an expert on changing behavior, including behavior related to fear and aggression. Her one-day seminar in Houston will focus on real-life solutions that attendees can apply that same day with the dogs in their care. Dr. Yin uses an engaging mix of video, case studies and discussion in her teaching. It’s definitely going to be an exciting day of learning for all of us. Michael’s Dogs (my company) hosts educational events yearly for trainers, rescue volunteers, and veterinary professionals. Last year we teamed up with Homeless and Orphaned Pets Endeavor (HOPE) to host trainer educator and author Jean Donaldson. HOPE joins us again this year hosting Dr. Yin (May 12, 2012) and Dr. Susan Friedman (August 18, 2012). We are absolutely thrilled to have PetTalk as a sponsor for this year’s Sophia Yin seminar. Houston Dog Trainer Michael Baugh CPDT-KA, CDBC is the director of training and behavior at Rover Oaks Pet Resorts.